We help marketers and publishers. TC Transcontinental Printing is the largest printer in Canada and one of the largest in North America. For over 40 years, we have been helping our customers maximize their results by effectively integrating innovative printing solutions, helping publishers and marketers deliver their content. We are constantly improving our print offering with the goal of helping our customers better attract, reach and retain their target readers and consumers through our unique customer-oriented service offering which combines mass and personalized solutions. Over the last few years, the company has invested heavily in its printing network to ensure it provides state-of-the-art technology. Our services include a wide array of solutions for our customers, including premedia, printing and distribution. 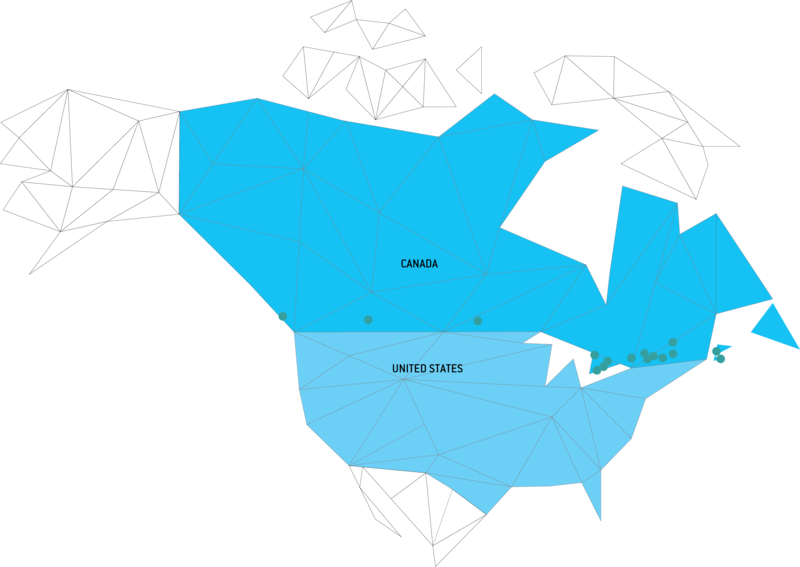 Our network of 16 printing plants enables us to serve our Canadian business partners from coast to coast. We serve key clienteles including book, magazine and newspaper publishers, as well as retailers, cataloguers, marketers and advertising agencies. In total, more than 2,000 customers across North America trust TC Transcontinental Printing with their printing projects.